Interesting new developments in luxury travel that offer the “sophisticated” traveller sustainable options have recently surfaced. 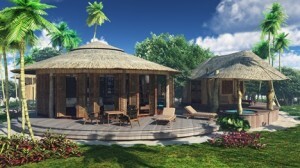 These are tagging onto the growing trend of eco tourism by combining high-end luxury and ecology. Eco Luxury, a collaboration between a number of luxury resorts around the globe, is one example. It gives travellers the opportunity to observe and even participate in local community projects while on location. The resorts are also built in a sustainable way. One of them, the Al Tarfa Desert Sanctuary in Egypt, was created by local masons using forgotten construction techniques, and a large number of families and societies were hired and supported to tailor-make the lodge’s building, furnishings and decoration. 99 per cent of the lodge employees are also from the local area. Another example, with a slightly different take, is the Cacao Pearl Resort built on a private island in the Philippines. As the worlds first not-for-profit eco resort, it can truly offer visitors peace of mind because it donates a whopping 100 per cent of its operating profits to local environment protection and social improvements. As the recession has changed luxury consumption (perhaps forever), and today’s luxury consumers don’t necessarily want to flaunt extravagant consumption, offering luxury with a clear conscience is a smart move. This should also appeal to both Theta and Lambda types; Theta’s will be attracted by the social capital that this holistic leisure retreat offers, whilst Lambdas will appreciate the combination of achievement and uniqueness entwined – both of which are part of Lambda’s ultimate life purpose. We’ve spoken about luxury cars before on Janus Thinking–often wondering whether they can be both luxurious and practical. Here’s an extreme: the new Tesla Roadster, a sports car that costs $164,000, goes from 0 to 60 in 3.9 seconds (with a top speed of 125 mph), and is entirely electric, producing no emissions and able to go 220 miles on a full charge. By not consuming any fossil fuels, it’s even more environmentally friendly than a hybrid. This should make it especially appealing to a Lambda, who will value it for the benefit its use brings to the environment and find intrinsic pleasure in how unique it makes its owner (only 1350 are being produced this year). Adding to the car’s uniqueness: it makes no noise. Pedestrians and cyclists beware–here’s to hoping it has good brakes. they pretty much do anything for their members so its worth checking it out! Maguscars imports cars to India like landcruiser,lexus,ferrari, rolls royce, ford mustang. Lexus for Luxury with a Social Conscience? One should not have to choose between luxury and social conscience. Lexus is positioning itself to the luxury car buyer who is not willing to sacrifice design and performance in order to be environmentally aware (sort of like die-hard coffee fans who are unwilling to sacrifice taste but want to buy fairly traded products). Lexus’ tag line argues that it gives more to the driver and takes less from the world. This may be true, but it’s a little hard to swallow when its most expensive hybrid only gets 20 miles per gallon in city driving. Nevertheless, the company is engaging with issues that many other luxury companies aren’t. 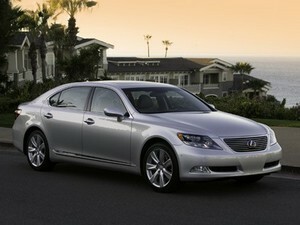 Just this week Lexus launched an online forum to discuss the impact of hybrid cars on society. I have always been cynical about the Lexus hybrids, too, considering that the system appears in an SUV and its top-of-the-line sedan. Toyota, as a group, has even opposed some of the fuel-economy standards that California wants to impose. The Lexus hybrids are a “better than doing nothing” approach, but not one that deﬁnitively addresses the problems relating to greenhouse gases. The real clever approach would be to build a luxurious and smaller car with a distinctive, futuristic bodyshell, though efforts such as the Cadillac Cimarron (and I would even say the Lincoln MKZ) show that that is not always easy. However, mated to a hybrid system, this could be a useful way forward. While Lexus might be the best option for those looking to “save the earth in style” (to quote 3Luxe’s very complimentary Lexus GS 450h listing), I tend to be a bit suspicious of a true eco-friendly luxury car. That said, it is better than doing nothing – and I’d certainly like to have my suspicions proven wrong! How is the luxury sector taking steps to be ethically sound? Last month a discussion at the Paris Fashion Group heralded the continuing success and integration of Fair Trade and sustainable goods into luxury products. Comments from the panel suggested that luxury consumers are not necessarily interested in ethical considerations, but rather in finding a unique and “industrial” product. And this new type of demand seems to be increasing; some are even calling it a “meta-trend” for this generation of luxury shoppers. Elite travel operators are increasingly seeking to combine the opulence of traditional safari travel with the experience of poverty more typically associated with charitable ‘gap-years’, creating a new range of range philanthropic yet luxurious holiday packages. New York-based Artisans of Leisure have reported a 15% rise in requests to combine luxurious African trips with charitable visits to underprivileged health clinics, schools and orphanages in packages that can cost in excess of $50,000 per week. The explicit purpose of twinning luxury with poverty is to solicit donations for the communities involved, whilst still providing the travel experience wealthy donors are accustomed to. Indeed the not-for-profit sector is increasingly seeking to muscle in on a market previously dominated by exclusive travel agents, recognising that big donations are easier to acquire from those that experience development issues first hand. The increasing popularity of the packages has been linked to the role of celebrity campaigners such as actress Angelina Jolie and US singer Bono in raising awareness of development issues, a trend which is helping to fuel the rapid expansion of luxurious charitable travel. Our research shows that if wealthy consumers know that a luxury brand is socially responsible they will give that brand greater purchase consideration over a brand with similar quality and service. Of course there is a worry for luxury brands that becoming sustainable and ethical will take away some of the aloofness and elitism that give them cachet, but if the move towards green living continues, companies will have no choice but become more accountable and transparent. One of the key luxury elements is knowledge of provenance. It’s the value that really separates you. With Fair Trade, it’s not just a diamond: I can show you pictures of the miners, the mountains, the cooperative projects and the people that produced it, that’s a real element that you don’t get from most products and I think that people appreciate the story. Whether ethical luxury is a fad that will pass or a truly revolutionary step for the market remains to be seen, but for now I don’t see any luxury companies becoming less green. A hotel in Sri Lanka is offering a luxury dessert for its luxury clientele–for $14,500. Is offering the dessert simply a publicity stunt to build awareness of the hotel, or is the dessert worthy of such a price on its own merit? 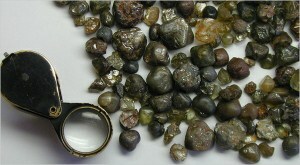 It does include an 80 carat aquamarine stone, which has about the same diameter as the head of a soup spoon. Of course if someone is willing to pay the price (which one person apparently already has), he or she believes the dessert will provide a worthwhile amount of pleasure and enjoyment. We have had a positive reaction both locally and internationally to the dessert which we don’t think is out of place, even in a country where there is considerable poverty… We felt that there has been so much negative news emerging from Sri Lanka in recent months in relation to the war, and wanted to come up with something that was upbeat and fun. While I certainly respect efforts to use luxury to drive greater income to companies—in this case, one hopes that $14,500 goes some way to alleviating poverty among those working with the hotel—I have to say this dessert seems vulgar. While many items or experiences considered luxurious are scarce or rare, a new class of ‘sustainable luxury’ items and experiences aims to be as exclusive as traditional luxury while preserving and respecting the environment. We’ve already seen hybrid cars–now entire resorts are being designed in an eco-friendly way. Last week marked the launch of Revolution Places, a new sustainable luxury resort company that is currently developing an $800 million 650 acre resort in Costa Rica. A comprehensive recycling and solid waste management strategy is being developed that incorporates the use of renewable energy and an on-site treatment facility to re-use wastewater. These are certainly worthy and responsible initiatives. But do they provide Revolution Places with a competitive advantage? Or will luxury consumers believe that Revolution Places is compromising the luxury experience to be green? We’ll find out in 2010 after Revolution Places opens. This week Toyota announced a new luxury performance sedan, the Lexus LS600h L. At $104,000, it’s the most expensive car ever offered by the company. Decked out in leather and high-tech amenities, the car goes from zero to 60 miles per hour in 5.5 seconds and has 438 horsepower. It’s also “green”—its hybrid gasoline-electric engine gets it better gas mileage than a gasoline engine alone. But is it really the perfect car for the rich but environmentally-conscious consumer? I can’t say I think so. I don’t want to go so far as to call putting a hybrid engine into the car a gimmick, as it’s surely a well-engineered, luxurious vehicle (and admittedly it does emit less pollution), but the car only gets 20 miles per gallon in city driving. That’s less than many non-hybrid sedans and only a third of the city mileage that Toyota’s first hybrid, the Prius, gets. The Prius is also a quarter of the LS600h’s cost. You don’t exactly scream environmentally-friendly when you’re using more petrol than many non-hybrid cars. Are consumers wealthy enough to spend six figures on a car are concerned about this? For now it’s unclear, but car makers and other luxury businesses are increasingly offering green choices. The fruits of green technology should themselves be green, but this Lexus isn’t (or at least isn’t as green as it could be). As consumers become more aware and discerning of green choices, they may want a car with four times the gas mileage of the Prius if they’re spending four times as much.